Autumn hiking: the trees blazing from inside out, the air purified by chilled winds, the campfire smelling like it should. Autumn seems a beautiful time to spend your time wandering around the woods. And then the rains come. Unlike a nice, refreshing summer shower, the rains of fall don’t play nice. They bite and they seep into your bones and set teeth to clacking around. Getting caught in the wrong storm this time of year can be dangerous. Enter the rain shell, an autumn hiker’s best friend. Not to disparage the storms of other seasons, of course. Much like the shell of our turtle friends from whom we take much advice, a rain shell means protection from harm. Whether it be rain, snow, wind, or cold, modern shells are designed to keep you alive, dry, and moving. There are times when staying in the tent, playing cards, and drinking hot cocoa sounds marvelous. The reality of the situation is that hikers don’t often have that sort of luxury. Hikers gonna hike and, more often than not, moving through a storm means moving to safety. So we throw on a rain shell and move, down the ridge, away from the menacing black clouds and the lightning on the balds. 1: “Waterproof” does not mean waterproof. Confused? Good. A little confusion is good for the brain. Makes for good learning. A truly waterproof shell would be a terrible choice for the trail. To be truly waterproof, the material would have to be impermeable, meaning that no water can get in, but no water escapes either. That’s no good. That’s a sweaty plastic sack. So what we’re looking for is more accurately called “highly water resistant” but “waterproof” sounds shorter and sweeter so that’s what they call it. And there are levels to this, of course. To be called waterproof, a material must meet certain criteria. The measure of waterproofing is called Hydrostatic Head, which is fancy talk for how much water they can stack on top of a material before it starts to leak. 1,000 mm = “waterproof”. Will a 1,000 mm rain shell keep me dry if Zeus decides to unleash his fury on poor Goatman for looking crossways at a thunderhead? No. Serious weather rain shells rate more along the lines of 10,000 to 20,000 mm (that impermeable sack we spoke of earlier would be 40,000+). That’s about as technical as this article is going to get. I’ll throw some links down at the bottom for those who want to delve deeper into the science behind it all. What I’m getting at here is that a tag that says “waterproof” on a jacket can mean a variety of different things. 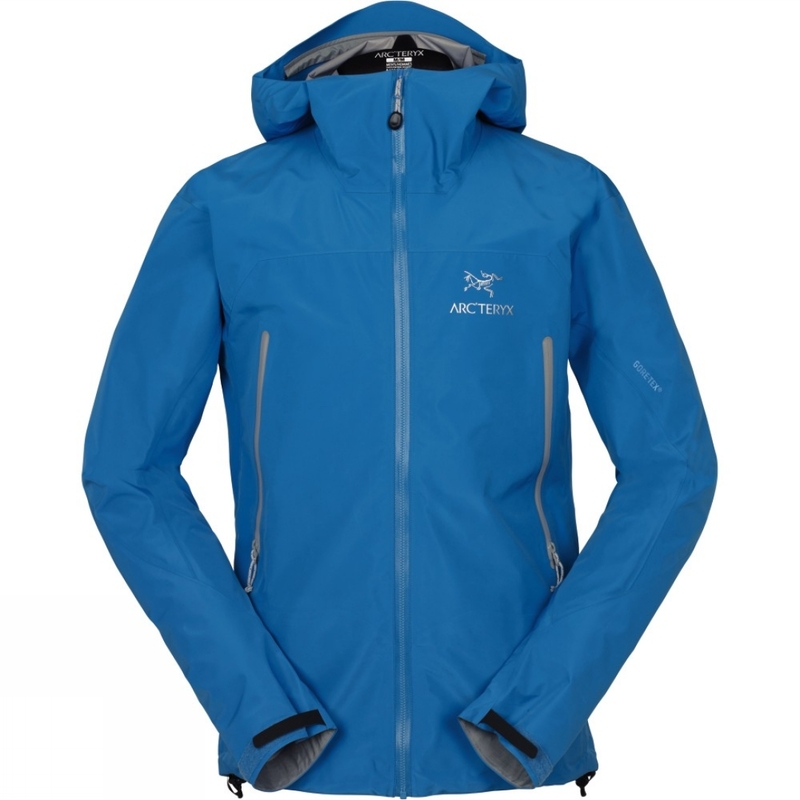 Gore-tex vs eVent vs Pertex Shield+ vs H2NO? Here at RRT, we can tell you the difference in waterproofing between our styles of rain shells. Come in and ask. I dare you. 2: But can we tell you about breathability? If you liked the slightly complicated nature of waterproofing, you’re going to love the absurdly complicated nature of breathability! At least in this case, breathable means just that: allowing the passage of air and moisture. You hike, you sweat. Best case scenario, your sweat evaporates and, water vapor being smaller than raindrops, escapes from your rain shell through the tiny holes in the “waterproof” fabric. So there must be some way to test how much water vapor escapes from the material. Of course there is. There are a few ways actually and not one standardized test across the industry. Different companies, different materials, different tests. Do different tests test the same thing? Sort of. They all tell you how much water vapor passes through material. Do any of them simulate wilderness conditions in which you are bouncing off of trees and rubbing bellies with granite and sweating at different rates, in different humidity, on a different mountain, in a different country? No. Nature isn’t a controlled laboratory (thank goodness). So we leave the lab and go out in it and let our skin do the testing. And the companies would agree. They all have their labs but they also have their athletes out in the bush, getting it done. As I mentioned before, we carry a variety of rain shells at RRT. Below, I will break down the differences, similarities, and various uses of each shell. Remember: these are words on the Internet. If you really want to experience the thing itself, come in and talk to one of us, try on a couple of styles, and see what is going to work for what you want to do. Waterproofing: eVent Layers: 3 Weight: 18 oz. 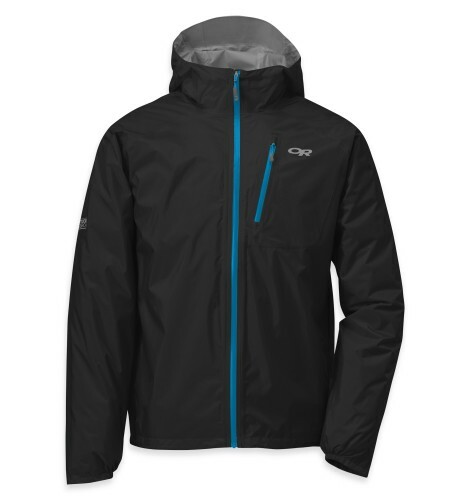 We’ll start with the big boy: Rab’s Latok Alpine, store favorite for keeping you dry in the worst conditions. Designed, as the name suggests, for protecting you on exposed alpine climbs, the Latok Alpine is serious protection. It boasts the highest breathability and is rugged to boot. Going on a mountain-climbing trek where you’re guaranteed to get dumped on for days and want a shell that won’t give out on you, no matter how much punishment you put it through? This is it. At 18 oz., this is also the heaviest shell we carry. Perhaps overkill for an afternoon hike with 50% chance of rain. Waterproofing: Pertex Shield + Layers: 3 Weight: 15 oz. 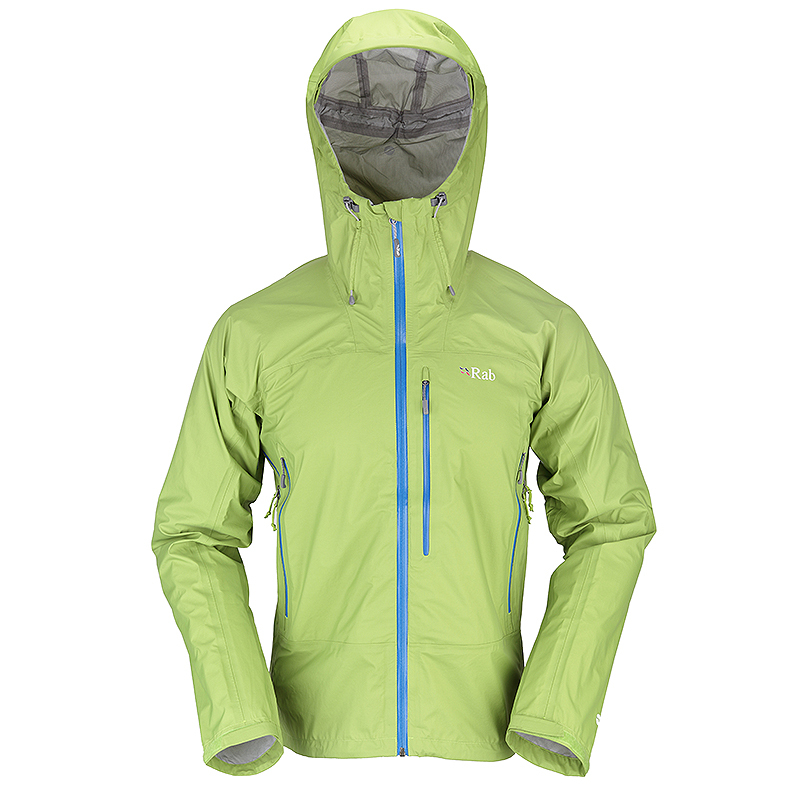 We go lighter from there with Rab’s Xiom. 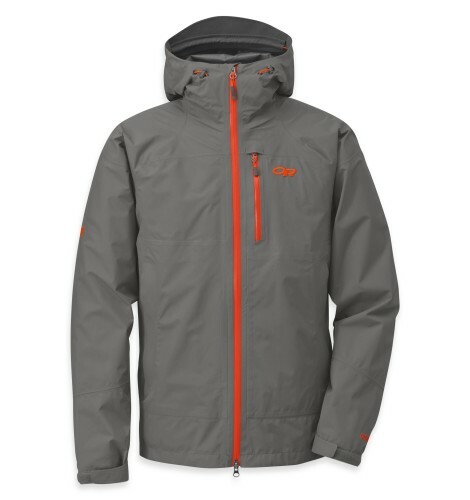 Great jacket to throw in your pack on a long backpacking trip. It’s still Rab and still 3 layers, so the durability is there, but at less than a pound the Xiom won’t weigh down your pack when the sun comes out. Added pit zips make this a highly waterproof and breathable design. Pertex Shield + is Pertex’s highest end fabric for weight and performance. Waterproofing: eVent Layers: 3 Weight: 19.6 oz. Think of the Bergen as the Latok Alpine’s big brother. It weighs more because it’s bigger and more roomy for more fully fleshed out individuals. If you find the athletic cut of modern rain shells restrictive, fear not! The Bergen is here. All of the advantages of breathability and waterproofing of the eVent liner are still apparent in this jacket. For a couple of ounces more, you simply have more room to be comfortable. 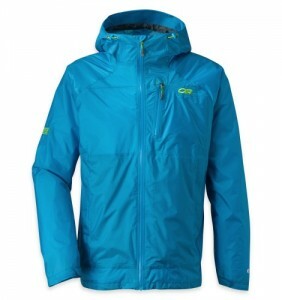 Waterproofing: Gore-tex Layers: 3 Weight: 11.8 oz. Arc’teryx doesn’t mess around. 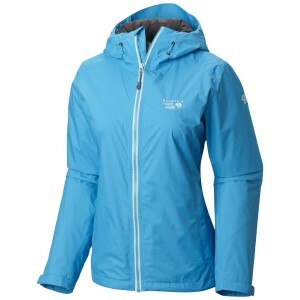 A three layer shell at less than 12 ounces, cut to fit the body in motion, with heavy duty Gore-tex lining. Arc-teryx construction is unmatched in the business and, despite its low weight, this shell can take a beating. Though not as breathable as eVent or Pertex Shield, this shell is still a contender for lightweight backpacking in any condition you can throw at it. If you’ve never tried on an Arc’teryx piece, do yourself a favor. These guys know exactly what they’re doing and they do it very well. Waterproofing: Gore-tex Layers: 2.5 Weight: 16.3 oz. OR makes some great gear and the Foray is no exception. Gore-tex is big papa when it comes to waterproofing. They were there first and they still do it like they mean it. Sheds water as well as the Latok Alpine and, while losing a bit of breathability, also loses a few ounces. Any advantages to that? Sure. A bit warmer of a jacket can be a good thing in the cold. This is another shell meant to handle whatever you throw at it. They add two way pit zips to compensate for the loss in fabric breathability. The Aspire is the women’s specific OR shell that is much like the Foray for men, but fit specifically to a women’s curves. Gore-tex knows not gender, so you’re still getting a heavy-duty severe weather jacket with the Aspire. Waterproofing: Pertex Shield + Layers: 2.5 Weight: 9.1 oz. We are dropping ounces here. The Helium series from OR, much like the noble gas for which it is named, floats compared to the beefy shells we’ve been learning about. 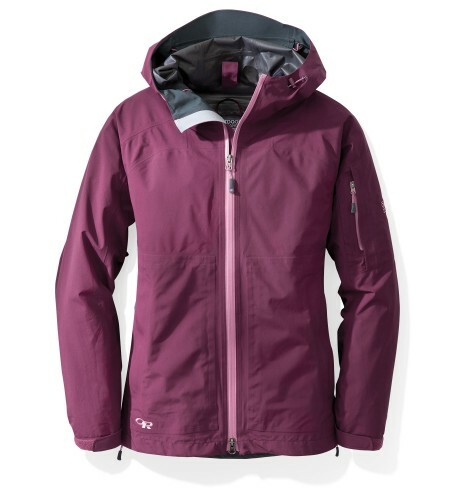 This is a long-distance backpackers’ jacket, truly: extremely breathable, lightweight, and immensely packable. Able to shrug off all but the most extreme rains, this is the sort of jacket you throw on when you’re in for the long-haul, need to keep moving rain or shine, but can then forget about on the nice days. While not the jacket I would choose for alpine excursions or deep winter treks. Waterproofing: Pertex Shield + Layers: 2.5 Weight: 6.4 oz. I have eaten candy bars that weigh more than the Helium II. A stripped down little brother in the Helium series, this is a minimalists dream. Ultra-light, ultra-breathable, ultra-packable. If you’re the type of backpacker that cuts your toothbrush in half, removes your zipper pulls, and doesn’t bother cooking food on the trail, here you go. Also a great shell for trail-running, mountain biking, or any other high-intensity outdoor activity where you might run into unwelcome rain. Waterproofing: H2NO Layers: 2.5 Weight: 12.2 oz. 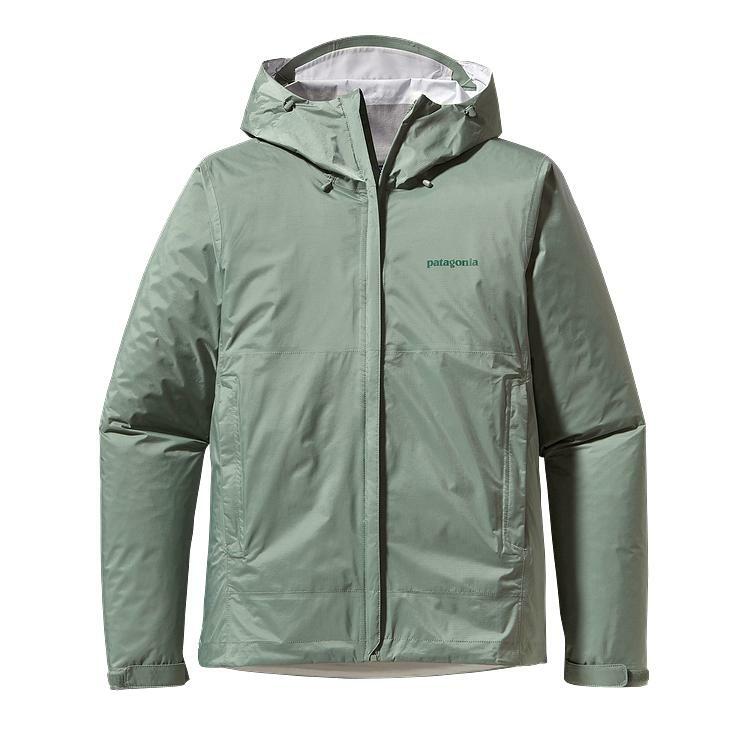 The stylish choice, Patagonia’s Torrentshell is not as waterproof as eVent or Gore-tex and not as breathable as Pertex Shield +, this one lands right in the middle on every scale. Great for everyday wear, in town or on the trail, the Torrentshell will keep you dry as you go about your business. Not an alpinists shell and a bit heavier than our lightweight options, this one is a good all-around jacket with Patagonia backing it up, so you know it is greener than grass (in the environmental sense). Waterproofing: Dry Q Core Layers: 2 Weight: 14.3 oz. The most affordable jacket in our line up, Mountain Hardwear’s Finder Jacket is a great starter shell. 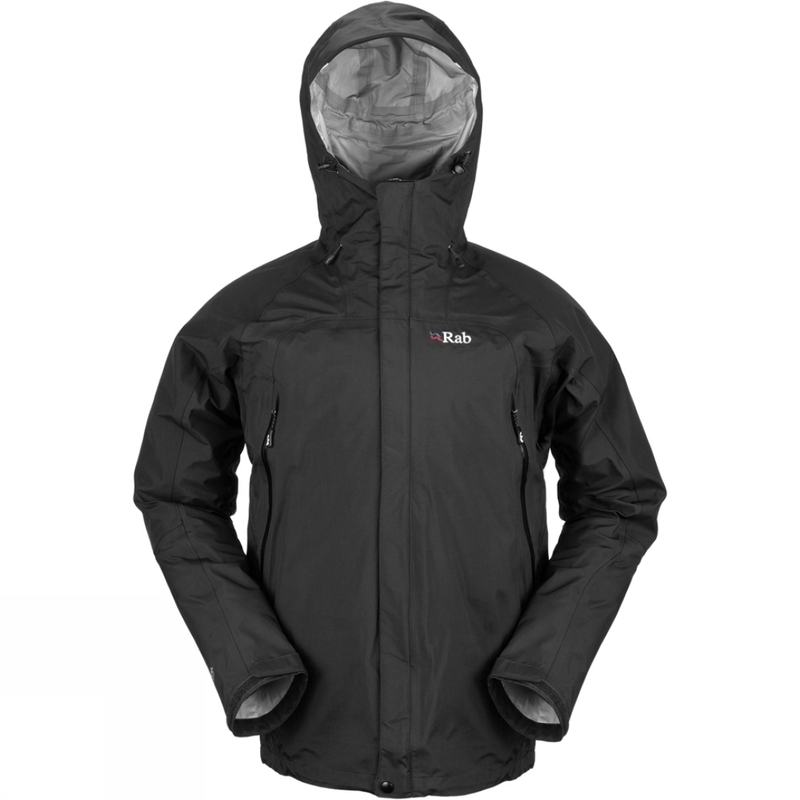 Though a bit heavier than our lightweight options, this jacket will breathe better than some of the sturdier Gore-tex options, though will not take quite the soaking. 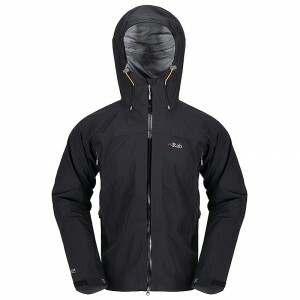 Great jacket for layering or to shrug off quick storm, not as useful in serious weather when staying dry is crucial. 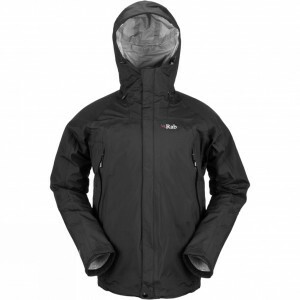 For the price, however, the Finder is a good all-around jacket.